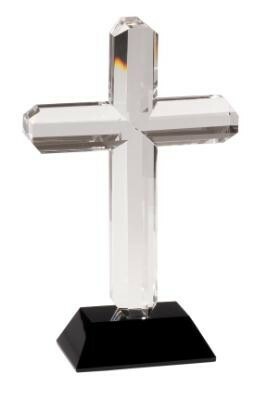 A crystal cross is mounted on a black crystal base. The award is individually packaged in a gift box. Includes an engraved plate. Approximate plate size is 1-1/8" x 2-1/4"